Tax season is here, and this week, our office issued a Consumer Alert to warn Floridians of a new phishing tactic that could wreak havoc on people preparing their taxes. The tactic, called conversation hijacking, involves scammers accessing an ongoing email conversation and sending a new message containing a malicious link or attachment—giving the appearance that the message is from a trusted source. Victims clicking on the link or opening the attachment are then prompted to provide personal information that could be used to submit fraudulent tax returns. Floridians should remain cautious. Avoid clicking on links or opening attachments that seem suspicious. Never share passwords or login information with anybody. Change passwords frequently—using numbers and special characters. As we approach opening day of Legislative Session on March 5th, many bills are in drafting and over 1,600 filed by members. Of the many bills being heard in committees, I will focus on two. The Senate Education Policy Committee has passed an update to school safety expanding access to The Guardian Plan which permits more educators to volunteer for service, additional training, and background clearance to provide an added defense team of leaders already on site to provide armed response in the first three minutes in a crisis to prevent an incident from becoming a massacre like we saw last year . Time is of the essence. Seconds count. No educator is required to participate but can be considered. Thankfully over 2.8 million students safely attend school. There are full safety and prevention steps in the updated school safety plan. Another bill filed that is stirring debate is the Heartbeat Bill which will protect the unborn child who demonstrates a heartbeat. Over 60 million young lives have been extinguished since abortion rights were expanded by court ruling in 1973, more than all soldiers killed in all the wars of American history. It is time to reconsider this sensitive policy that erodes our future and our respect for human life. We look forward to a meaningful debate for the many issues before us. Be a part of this discussion. It is your government. The Villages, Fla. – Today, Governor Ron DeSantis announced his commitment to create a prescription drug importation program for Florida. This program will offer access to FDA-approved prescription drugs that have been imported from Canada, allowing the drugs to be sold to Floridians at a much lower cost. The Governor was joined at the announcement by Speaker Jose Oliva, Representative Ray Rodrigues and Agency for Health Care Administration Secretary Mary Mayhew. President Trumps results of latest medical exam were released. 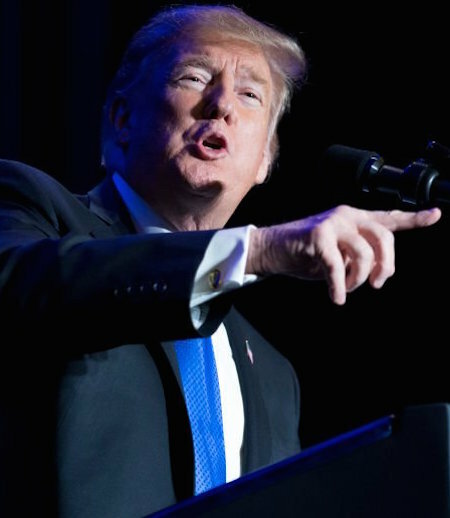 Dr. Sean Conley, his physician, says Trump gained four pounds in the past year but proclaimed that he is in good health. 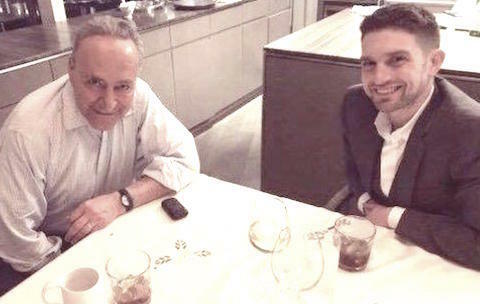 Chuck Schumer and Alex Soros, yes son of George Soros, having drinks. Chuck is probably being reminded of who is really in charge!